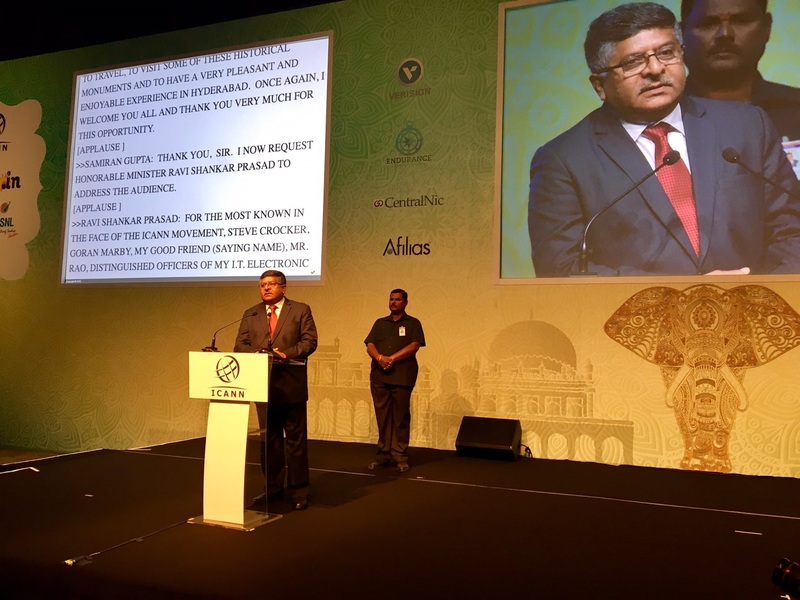 From geospatial bills to the digital Indic language movement, India is struggling to practice the multistakeholderism it preaches and supports at global Internet governance forums, including this week's ICANN 57 meeting in Hyderabad. Hyderabad: Over the last week, India has cemented its place as a staunch supporter of multistakeholderism – a form of bottoms-up governing and policy-making process that places emphasis on equal participation from members of civil society and the private sector – as it pertains to global Internet governance. In front of a packed audience of members and stakeholders of the global Internet governance community, IT minister Ravi Shankar Prasad on Saturday pointed out that India’s categorical support of the multistakeholder model comes from the country’s “diversity, pluralism and cultural heritage” – qualities that Prasad said allow India to “respect even the [most] contrary ideas of your friend or even anyone else”. More importantly, the Modi government is also clear what it offers to the global Internet governance community as the world’s largest democracy. “Democracy, pluralism and inclusion is part of our DNA. We from India bring on [sic] the table the voice of reason, the voice of logic and the voice of moderation,” said Prasad. Specifically, Prasad said, India also can contribute much in the way of accountability; a major concern for primary Internet governance body ICANN, which only last month formally broke away from US government control. “We have layers and layers of accountability [in India] starting from the RTI act to Parliament accountability to media accountability…,” said Prasad. In a press conference later in the day, sandwiched between ICANN CEO Goran Marby and ICANN Board Chair Stephen Crocker, the IT minister spoke passionately about why the Modi government decided to ditch the state-oriented, “UN model” of Internet governance – an approach that had received some support from the previous UPA government. Over the last year, which is when when India officially reversed its earlier stance of trying to shape global Internet governance through state-oriented and government-dominated mechanisms, the Modi government made efforts to change the way it engages with ICANN and other Internet governance forums. The Centre for Communication Governance’s Aarti Bhavana, for instance, pointed out to The Wire that ministry officials have opened up and are more eager to reach out; organising meetings between public and private stakeholders before big ICANN meetings (including the ICANN57 meet taking place in Hyderabad this week) in order to take stock of important issues that concern India’s strategic objectives. The ministry of electronics and information technology’s efforts to rope in India’s Internet industry and private sector, as part of engaging all stakeholders, were also made clear in Hyderabad. India’s technology industry and broader private sector, for a number of reasons, has traditionally not participated in global Internet governance mechanisms. In a closed doors session titled “Why should Industry Engage?, Prasad and other ministry officials spoke to a rather listless audience, trying to make a case for why Indian firms should engage more closely with ICANN and other bodies. IT ministry secretary Aruna Sundarajan stopped just short of chiding India Inc when she pointed out that ICANN and other bodies would not reach out to Indian companies and that it had to be the other way around. “There may be a sense or feeling [among Indian businesses] that venues such as ICANN should be handled by members of civil society. That has to change,” Sundarajan said. Prasad on the other hand, struck a softer approach and recounted his early college years as a student leader, engaging with various political issues. “What will your involvement bring on the table? It will make the multistakeholder model more meaningful. I am doing this as a minister… but you have to supplement,” Prasad said. The overall lesson, however, was clear: when it comes to international Internet governance, to the policy and regulatory issues emanating from the fundamental system of domain name and numbers, the Indian government is trying its hardest at embracing multistakeholderism. What about the numerous Internet-related and policy crises that India is currently going through? 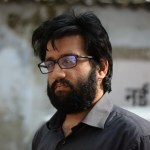 Anja Kovacs, head of the New Delhi-based Internet Democracy Project, has pointed out that the true test for India’s multistakeholderism is at home. If it were to be tested now, India would score poorly. How much of the intent expressed at ICANN 57 in Hyderabad is reflected in New Delhi today? The day before IT minister Ravi Shankar Prasad spoke about protecting freedom of expression, both offline and online in Hyderabad, BJP President Amit Shah warned that “anti-India comments would not be tolerated. “The idea behind democracy is to ensure that the last person avails the benefit of freedom of expression… but prolonged dissent will divide the nation,” Shah said. Shah’s statement come on the heels of minister of state for home affairs Kiren Rijiju asking that authorities and the government not be questioned over the death of eight undertrials who had escaped from Bhopal Central Jail. Two days before Prasad referenced “media accountability” in his opening remarks at Hyderabad, the government held channel NDTV India accountable for its Pathankot reportage and handed out a deeply concerning one-day ban. On policy issues that would ideally require a multi-stakeholder touch, India is still struggling. There are examples of issues that currently have no multi-stakeholder process but would ideally require one, instances of where multi-stakeholder processes are carried out in initial stages but remain opaque and non-inclusive during later stages, technology-related concerns that kick off a multistakeholder process but ultimately wind down without proper conclusion and finally policy issues where only one or two voices and perspectives are taken into account in a particularly detrimental fashion. One of the more pressing and topical concerns in this regard is the issue of Internet shutdowns in India; a confusing issue with devastating political, social, economic and individual consequences. The number of Internet shutdowns has increased quickly over the last three-to-four years (11 states have forced 37 Internet shutdowns over the past two years alone). A recent Brookings report bestows upon India the dubious honour of being (along with Iraq) the country with the highest number of government-mandated restrictions of Internet access. The issue is particularly complex because Internet bans are handed out by both the Centre and state government and by using various state and central legislation. Shutdowns are also ordered for different issues; sometimes justified by national security concerns (which rules out any multi-stakeholder process for obvious and good reasons) and other times justified by less-important reasons such as needing to crack down on cheating during school examinations. And yet with Internet shutdowns costing India almost $1 billion, it’s clear that the process is broken and grossly non-transparent. The views of private stakeholders in particular, such as banks and other financial institutions, are particularly troubling and could be a starting point for a potential multi-stakeholder process. A closely-related, and only slightly less serious concern, issue is that of website blocking. Again while websites are sometimes blocked over national security concerns, over which a public consultation would be inappropriate, the vast number of webpage blocks in India come from other reasons such as potential copyright infringement. Everything about these blocks are non-transparent, starting from why certain pages are blocked to whether copyright concerns are . overriding freedom of expression rights. In 2012, something resembling a public consultation process was kicked off by FICCI and the Department of Telecommunications; the latter organisation which is in charge of the blocking. At the moment, it’s unclear whether stakeholder feedback had any effect, with there being no discernible improvement in the DoT’s processes. There are a number of other Internet-related issues that would greatly benefit from wider public consultation process. The policy and regulatory objectives concerning native Indian languages and bringing them online is one such issue. Stakeholders involved in building Indian language information structure point out how the policy processes are often frustrating because crucial voices and perspectives are missing. “It would be difficult to say that it is multistakeholder. There are instances of where the government reaches out and our input results in policy goals, but more often it is a single or double stakeholder process that takes place between the government and government-funded academic institutions only. This doesn’t help the whole community and doesn’t help build expertise needed for really kick-starting digital Indic languages,” Anivar Aravind, who is a founding force behind the Indic Project, told The Wire. When the government only includes selective voices, as in the case of the Indic language initiative, this often results in slow progress, with the results of the progress also not filtering out to all relevant stakeholders. This also raises questions as to what stage in the policy-making process multiple stakeholders should step in. Twice in the last year, the department of electronics and information technology and the ministry of home affairs have released drafts (the encryption policy and the geospatial information regulation bill) that have not only been poorly thought but also universally condemned by consumers/end-users, start-ups and academic stakeholders. While the draft encryption bill was hastily withdrawn, the geospatial bill went through a public consultation in which stakeholder feedback was taken in May-June 2016. Since then, there’s been no further information as to what will happen. “It’s policy uncertainty plain and simple. First the bill comes out, which is ludicrous in terms of compliance and as a piece of legislation as a whole. But next, we have no idea what’s happening. Is it being sat on? Will the draft bill be changed based on feedback?,” a senior executive of an Indian technology-oriented firm, who declined to be identified, told The Wire. There are other cases where public consultation and multistakeholderism have been skipped: Most notably, the Aadhaar Bill which was pushed through Parliament in the form of a money bill. As observers have noted, this was, ironically, done almost immediately after the ICANN 56 meeting in Marrakech ended. This isn’t to state that aren’t positive examples of multistakeholderism in action in India, or that as Kovacs puts it, that a “one-size fits all multi-stakeholder model” would be applicable to all policy processes and issues. Only that the commitment we see from India in Hyderabad this week ICANN and at other global institutions just doesn’t reflect at home.